Cosy houses, nice cars, video games, consumer goods. The modern world is a pretty nice place for lots of us. But what about the people left struggling outside our comfy ‘normal’? Who are they? How do they get by? One author in particular has done a whole lot to show you. 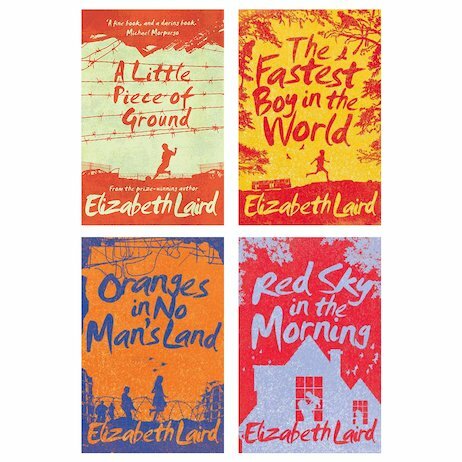 Elizabeth Laird is a sensitive, subtle writer with a real flair for telling stories about people on the margins. Like these. How can Ethiopian village urchin Solomon fulfil his Olympic running ambitions? How will Ayesha and Karim survive in the war zones of Beirut and Palestine? And finally, back in England, will Anna’s severely disabled little brother, Ben, ever find a way to belong?